Ireland’s bailout is top of the news log. Where’s the money coming from – and which countries in the world have the most claims by foreign banks? 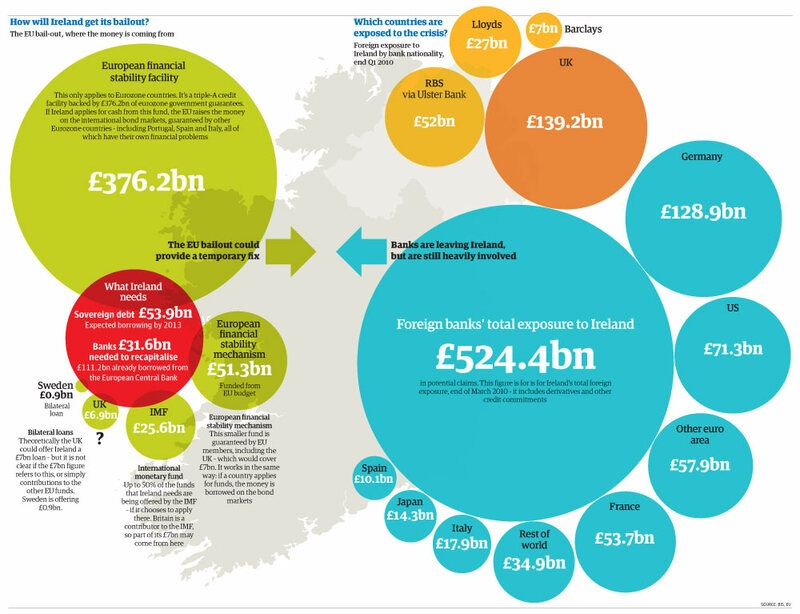 The Guardian provides the fascinating graphic below. Click here for the interactive and here for the data. Source: Guardian, November 22, 2010 (hat tip: The Big Picture).